When Roberta Moore first visited Nocatee more than a decade ago, there was no Nocatee. 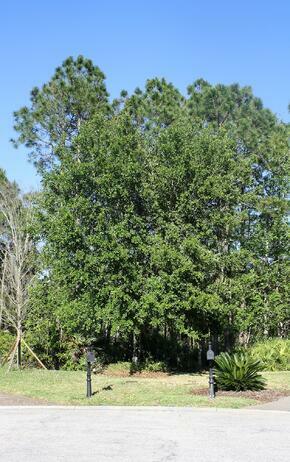 “The PARC Group had a ceremony in our driveway,” said Moore, noting that Nocatee’s master developer also planted a sapling in front of the community’s first home. It’s a sapling no more. Moore and her family – husband Gerry and kids Shawn and Jessica – were living in Jacksonville’s Southside area when they decided to begin looking for a new home in St. Johns County. Looking past the nonexistent roads and barren earth that greeted them on their first visit, the Moores signed on to build a home in Austin Park, unwittingly becoming the first family that would call Nocatee home. For the first month or so, the Moores were solitary pioneers, having all of Nocatee to themselves. 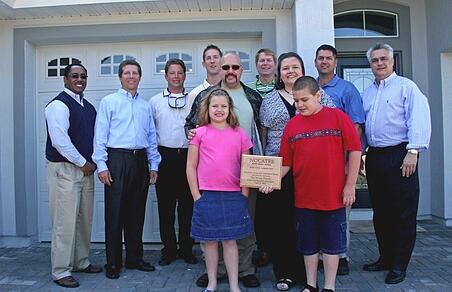 Then another family moved in and for a while there were two families calling Nocatee home. In the decade since, the Moores have witnessed that vision become a reality, as The PARC Group not only built roads and infrastructure, but such popular amenities as the Splash Water Park and Greenway Trails. Her children – who were 11 and 8 when the family moved to Austin Park – both benefited from the community’s top-rated schools, she added. 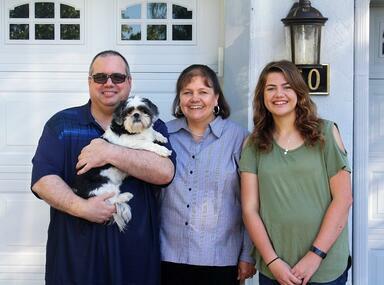 Daughter Jessica, now 18, will graduate next month from Nease High School, where she is active in the school band. Moore is equally happy to see the number of new shops, restaurants and businesses opening in Nocatee Town Center. Now 10 years later, Moore said she is happy with the chance her family took as Nocatee pioneers, and credits The PARC Group for holding true to its original vision. To view on PonteVedraRecorder.com, click HERE. To learn more about new homes available in the master-planned community of Nocatee, explore Nocatee.com or contact the Nocatee Welcome Center.